When the iOS 6 firmware first launched Apple was having some issues with a webpage that is required for iOS devices to properly connect to the Internet. This made it appear as if the iOS 6 firmware had issues with Wi-Fi connectivity. Luckily Apple hastily responded to customer complaints and fixed the problem the same day. 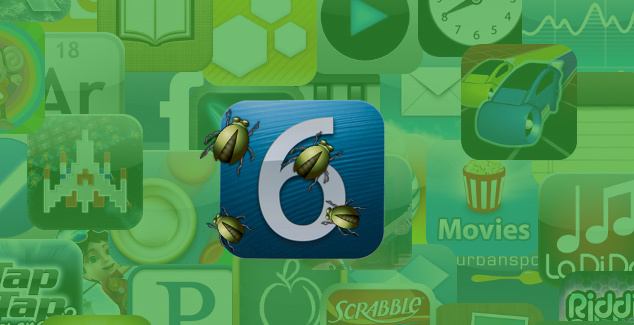 Now it looks like another error has been plaguing users who have updated to the iOS 6 firmware, and this time it has to do with using the App Store. According to MacRumors there is a growing support thread on Apple’s official support forums about not being able to update apps, having trouble viewing Passbook apps and many other similar issues related to using the App Store. The good news is, just like fixing iOS 6 Wi-Fi issues, there is a quick solution to solving the “Can’t Connect to iTunes Store” bug. Go to Settings>General>Date and Time>Set Automatically>Off. Set the date one year ahead. Try to [update the apps again or press the button from Passbook]. If you get an error message, go back to the settings. Correct the date and time (set automatically) then go back and try [again]. Although we have yet to replicate these errors on our own iOS devices, let us know if this fix works for you in the comments. Additionally, if you know of another solution to the problem please share it with us. it works i have iphone 4. Did not work on iPad 2. I just can’t use Facebook (even when I try to open in Safari) and AppStore crashes. Some apps have bugs… My device is useless. ipad 2 ios 6.0.1 still having this problem, not working with above technique!! !